The search is on for Screen International’s annual talent showcase. Screen International is looking for new actors, writers, directors and producers to showcase in its 13th annual Stars of Tomorrow portfolio. 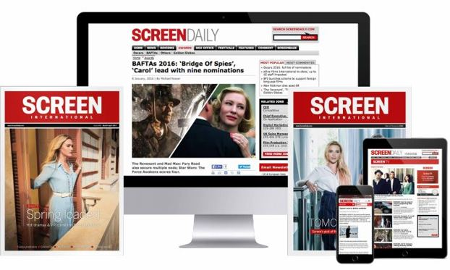 For the first time, Screen will open a direct line for recommendations, which should be directed to stars@screendaily.com. Open from now, the final deadline for submissions is June 1, 2016. Candidates for inclusion in Screen International Stars of Tomorrow should be professional and with a track record, albeit brief, in the film business. They should be UK or Republic of Ireland nationals, ideally under the age of 30. Directors may not yet have shot their first feature. All names will be verified in a lengthy vetting process. Stars of Tomorrow is the film industry’s most successful new talent showcase, with an unrivalled track record for discovering fresh UK and Irish actors and key creatives. Screen International’s reviews editor and chief film critic Fionnuala Halligan will select 15 actors and 15 directors, writers, and producers for a special standalone issue of Screen International, which will be published and distributed in October 2016. Through the Stars of Tomorrow initiative, Screen takes pride in bringing young artists to the attention of the international community during the first moments of their careers. Charlie Heaton, Joe Alwyn and writer Marnie Dickens (2015).